I used to think “home” was where ever my family was. First “home” was where ever Mom and Dad were. Then it was where my husband was, followed by any place our children were with us. Then my health deteriorated and I became housebound. My life stopped, but may family’s lives did not. My husband still had to go to work and the kids still had to go to school. There were still ball games, concerts, doctor appointments, and I missed most of them. I started planning special things to do when I was home alone in the evening after being home alone all day. 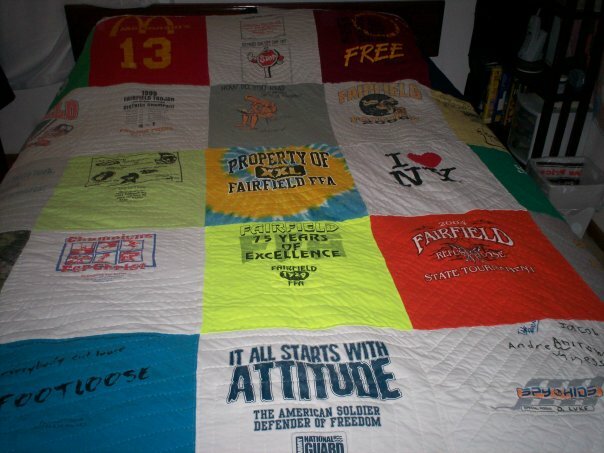 I made a quilt out of my oldest son’s tee shirts. I made a quilt for the baby shower of my granddaughter. I made a shadow box filled with awards from my husband’s high school days. I made a shadow box of awards from my youngest son’s high school days. 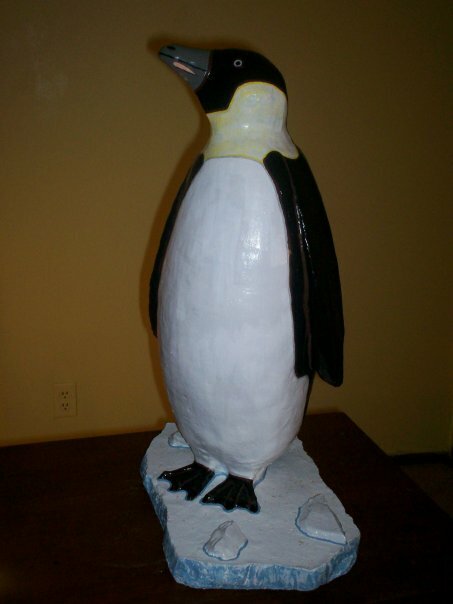 I restored 2 foot high cement penguins. 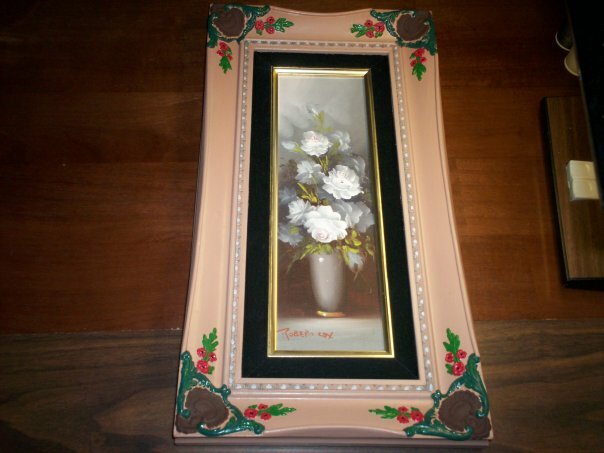 I painted the embellishments on picture frames. 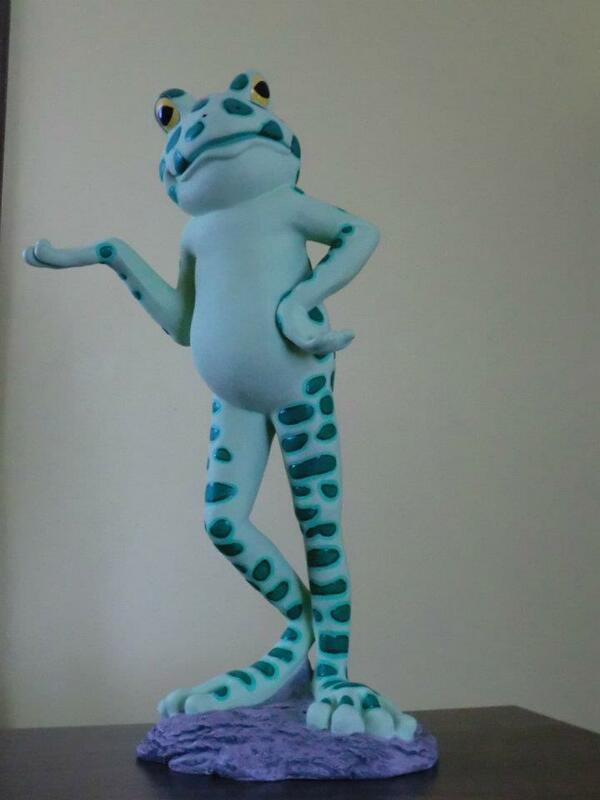 I restored Aunt Nellie’s frog collection. I rearranged the artwork on the walls. As I worked on each project, I remembered when the kids were younger. I remembered when the room was a nursery as I sewed curtains for my new office. When my second adult child moved out, I made a quiet place for me separate from the office I share with my husband. I have learned to enjoy those times when I am home alone. I didn’t even realize I could paint. There are 3 penguins and at least 10 frogs that prove I can. One of Aunt Nellie’s frogs. 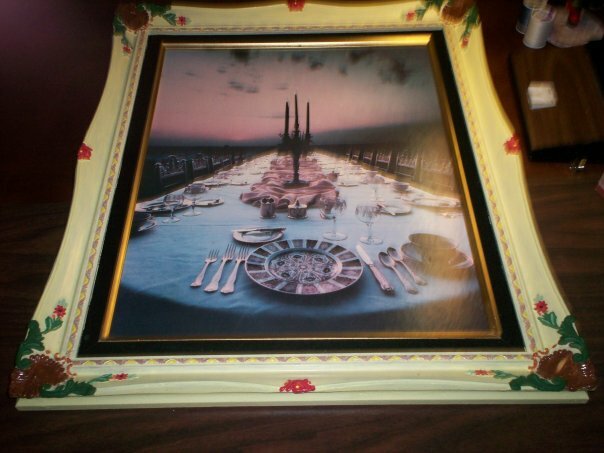 Embellished picture frame I painted. I was an administrator at a local church for years and I would get frustrated when people would not take care of things and expect a replacement to be purchased when it broke. I am a firm believer in fixing things when the repair is small. I play in a worship band and I know items wear out, but I am determined to take care of the things I use. We set up and tear down every week, which makes us more of a traveling band than most. 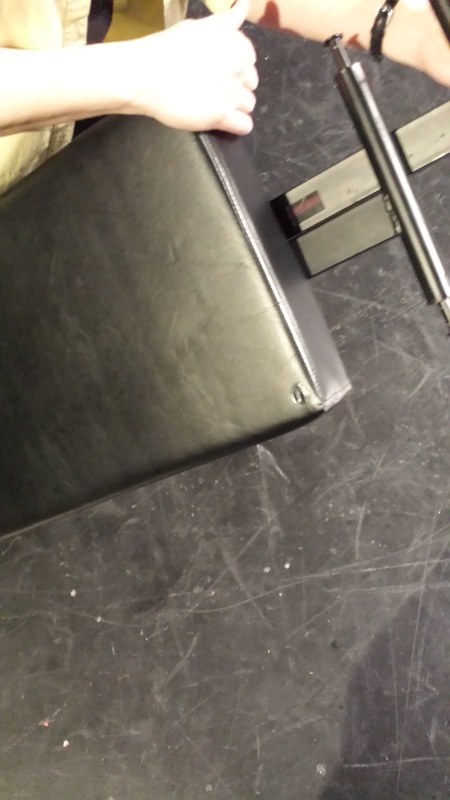 Our equipment can get a lot of wear and tear. A few years ago a keyboard, keyboard case, and keyboard bench were purchased for me to play. 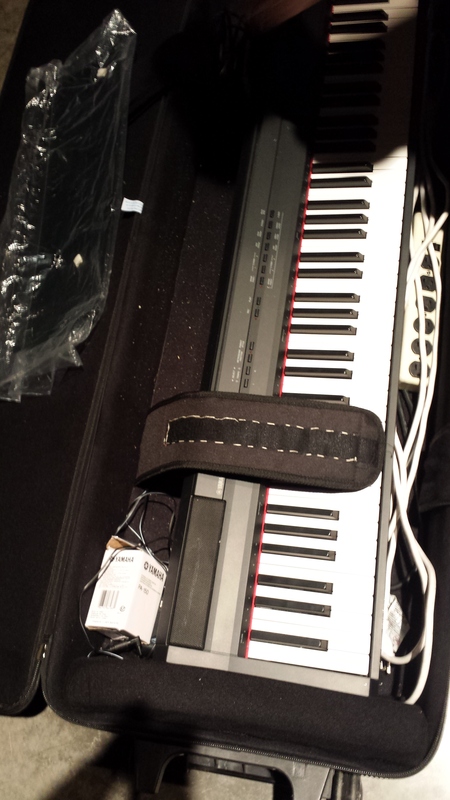 After a year or so, I noticed the velcro was pulling away from the strap that keeps the keyboard secure in the case. I wish I had repaired it when I first noticed it, but sadly, I waited until it was almost completely torn loose. 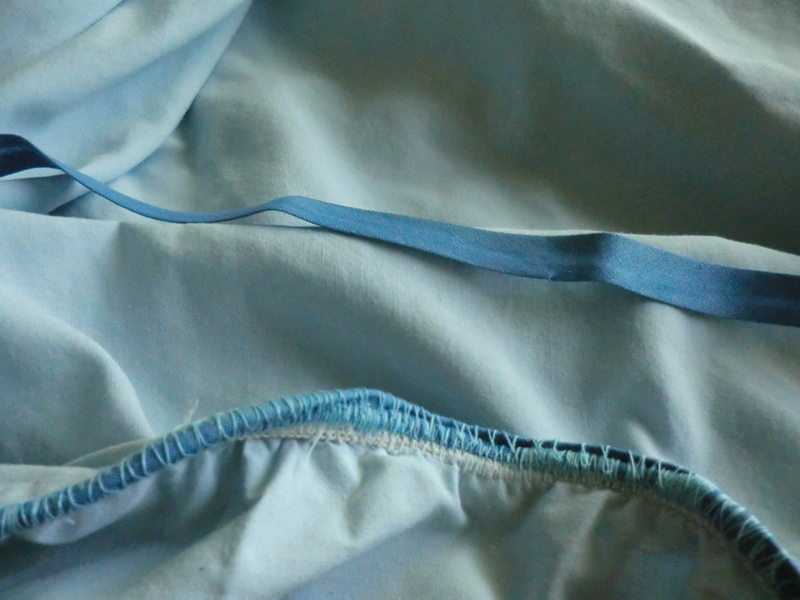 The strongest thread I had was not black, but I figured no one would see it but me…well, until today. That stitching is holding firm and the strap now holds the keyboard securely. Repaired keyboard case strap with upholstery needle. The keyboard bench has also taken some wear and tear. Items were piled on top of it one week and there was a small tear. I repaired it with a vinyl repair kit. Last month I noticed the corners were pulling apart. 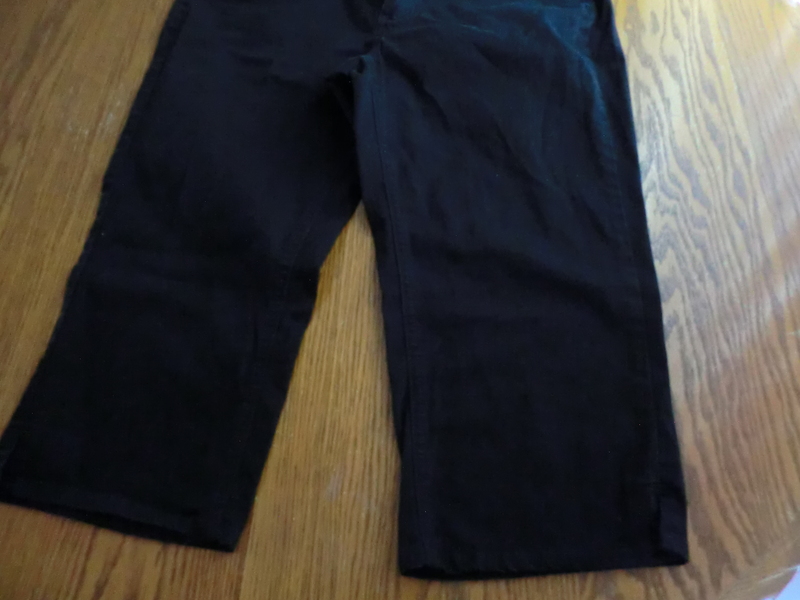 I stitched them with black thread and then covered the seam with vinyl repair glue. Stitched torn seam and covered stitching with vinyl glue. 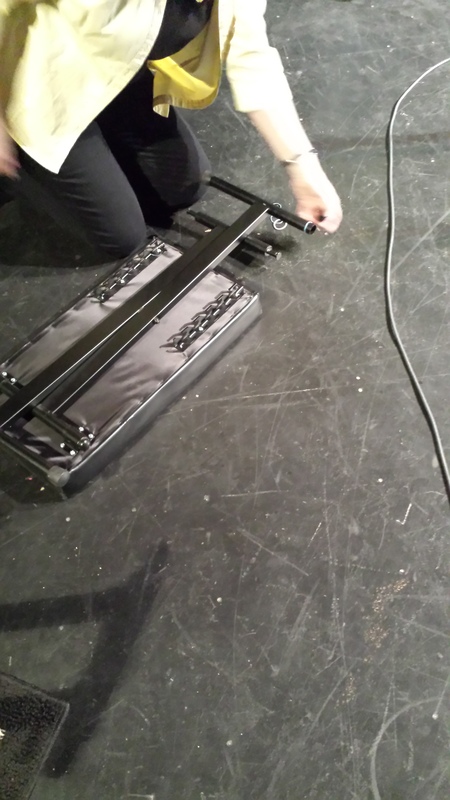 This week I decided to do something about the feet on the keyboard bench. They have slipped off before and been left in the storage area. Then I would rock during the service. I asked Mr. Frugalfish what to use to glue them to on. He said it was difficult to glue rubber and I came up with a different solution. I brought 4 rubber bands from home and used them like washers. I put them on the ends of the metal legs and slipped the rubber feet over them. Those feet stay firmly in place now! 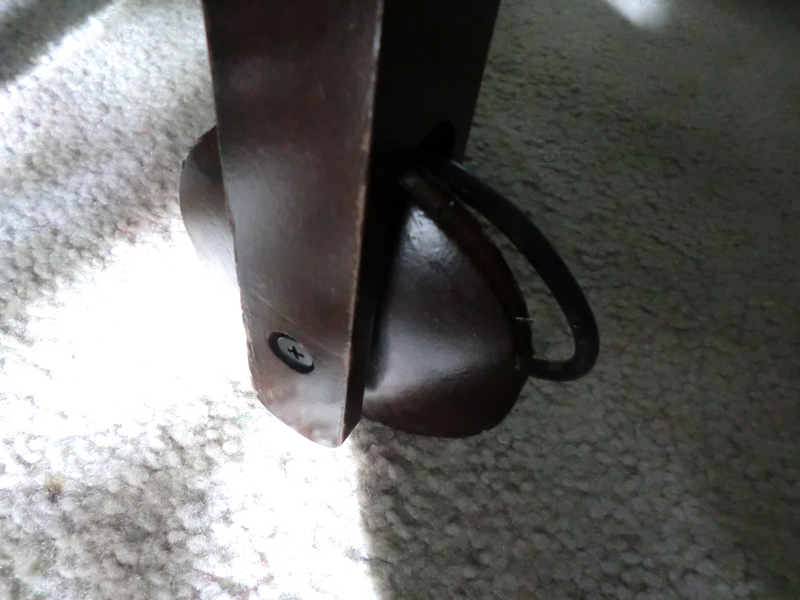 I use rubber bands like washers to secure rubber feet to metal legs of the keyboard bench. Part of being frugal is taking care of everything you use, even the stuff you don’t own. Of course, I did ask permission before I made the repairs. I don’t have bars of gold sewn into my mattress. My plumbing is not made of copper. My wedding ring is not platinum. I did not inherit my grandmothers antique silver set. My silverware is stainless steel, not silver. There is no coin collection that is gaining value as we speak. My best metal investment is one that is protecting my other investments. It is my upholstery needle kit. Carpet Sharp: Large and heavier sharp for stitching carpets and rugs. Glover: Tapered point needle with sharp edges used to sew leather and leather-like fabrics. Chenille: Sharp point needle with large eyes for crewel, candlewicking, embroidery. Tapestry: Blunt point needle used for plastic canvas, needlepoint or sewing heavy yarns. Tufting: needle for tufting repairs on upholstery, heavy materials. Small Curved: Needle used for sewing upholstery, mattresses. Large Curved: Needle used for upholstery and lampshades. Repaired the seams on torn cushions. Pulled the over-stuffed cushions on the arms and the backs of my couch back up to their original location and used the needle to attach them firmly. Sewed up the loose seams on the upholstered chairs at church. 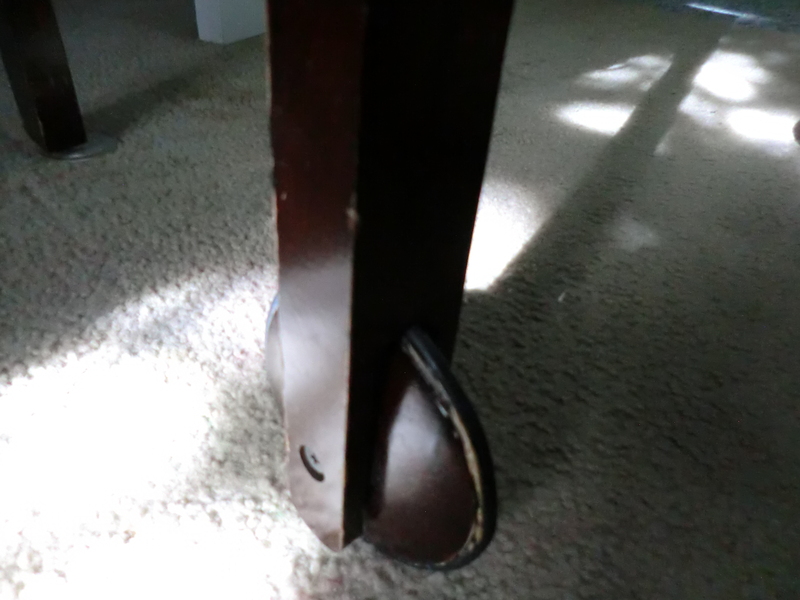 Repaired shoes, belts, and purses. Repaired the torn upholstery, and ceiling fabric, in our van. Repaired luggage and sports bags. Repaired a baseball glove and other sports equipment. Repaired a cell phone case, see http://wp.me/pKNzn-hF. Sewed allergy screening to the base of my large, window screens, see http://wp.me/pKNzn-qc. Yes, that was the best metal investment I have made! 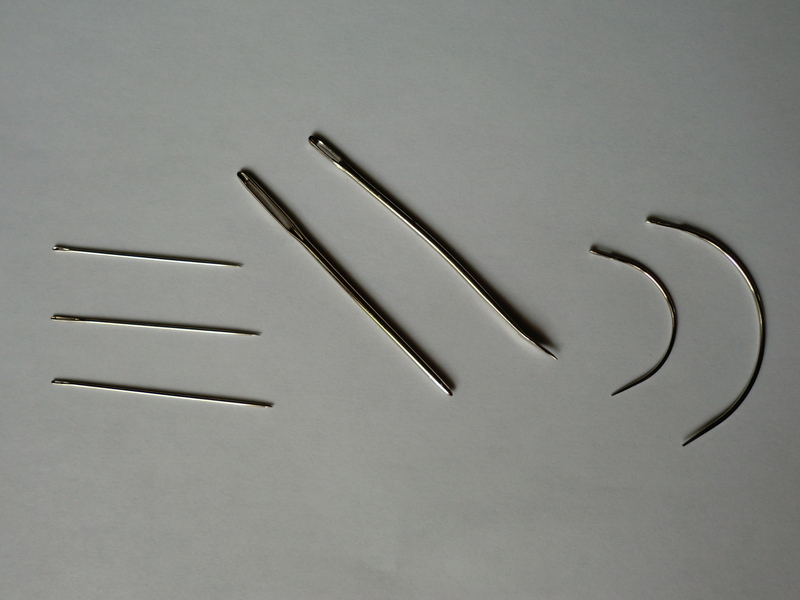 Needles found in a upholstery needle kit. Last weekend we went shopping for work jeans for my husband. It is like a treasure hunt because he is 6′ 2″ and over 200 pounds. The regular sizes are too small and the “Big & Tall” are too big! But he started his new job on Tuesday and he had to have something to wear to work. 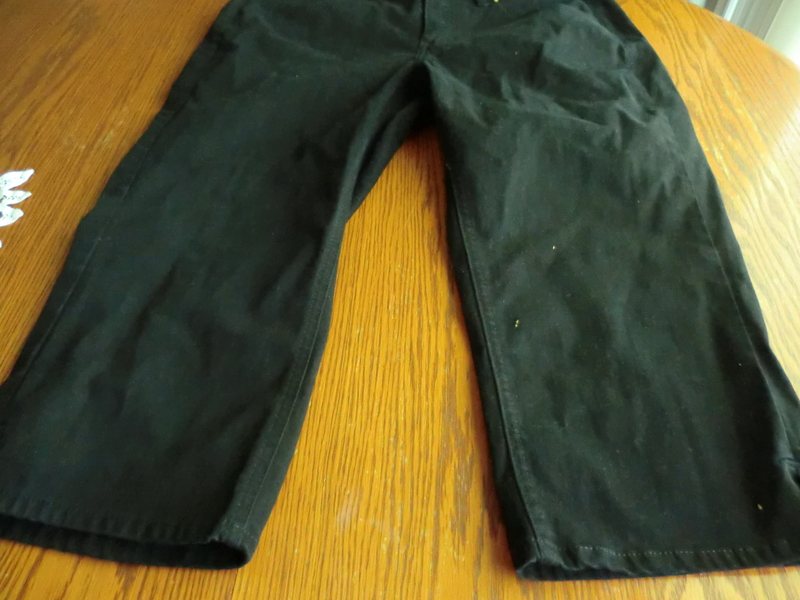 I checked 2 pair of his work jeans and there were no holes; they just were frayed at the leg openings. I cut the white “fringes” off and they looked presentable. They will have to do until he can find a pair somewhere. The pair on the left still has the “fringe” on the leg openings. The pair on the right had the white “fringe” removed. 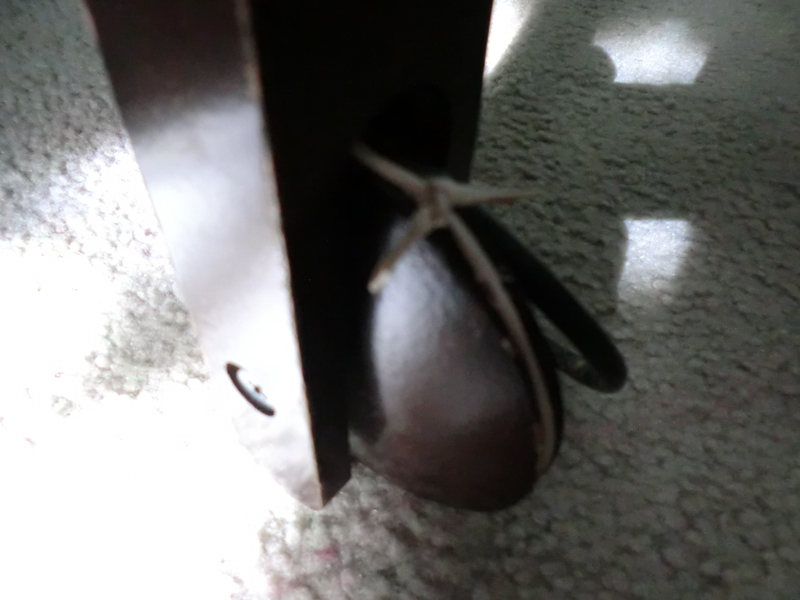 Mom stopped by and noticed the hooks holding up my invisible chair were loose, see http://wp.me/pKNzn-tj. She told me to break the end off of a match and put the broken matchstick in the hole. When I screwed the hook back in, the matchstick made the hole smaller and gave the hook something to grip. 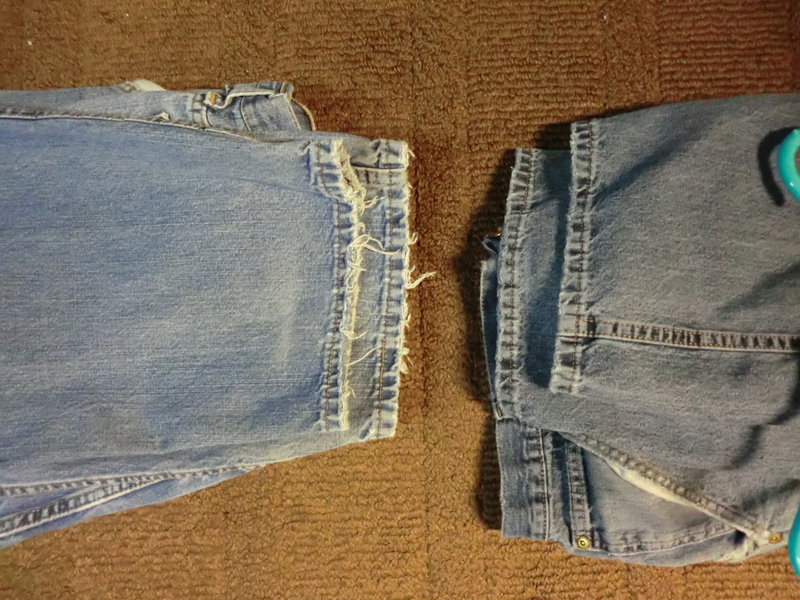 More importantly, I ordered a replacement pair the same day. It is easy to forget something needs replaced when the temporary fix works just fine. But the temporary fix will fail at some point and it will not be a convenient time! Temporary fixes are not permanent. That reminds me…I need to put a new anchor in that hook holding up the invisible chair! 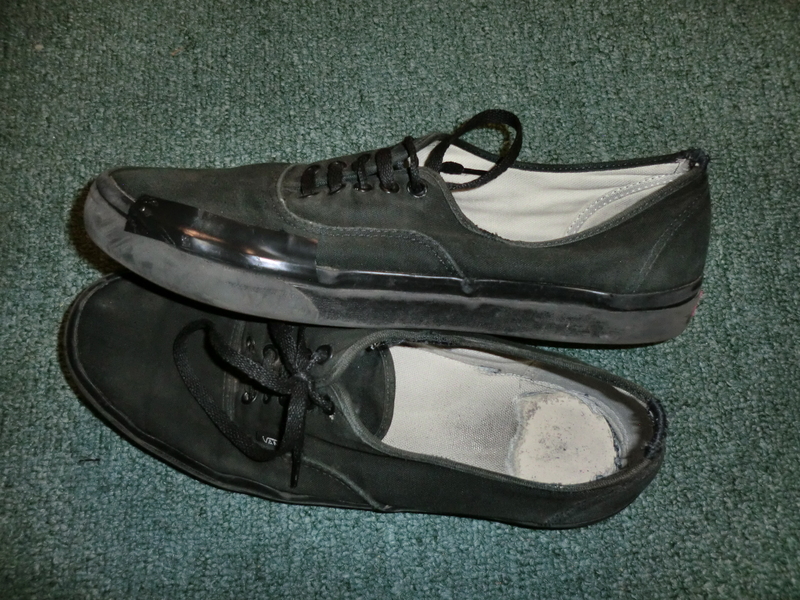 Black electrician’s tape temporarily fixed work shoes until the new ones came in.